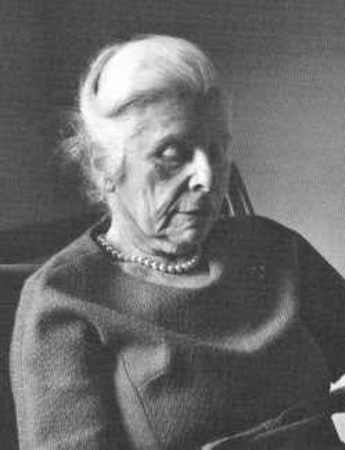 Alexandra Adler was born in Vienna, Austria on September 24, 1901, the second of four children born to Alfred Adler–the founder of individual psychology–and his Russian wife, Raissa Timofeyevna Epstein, who was a daughter of a Jewish merchant. Alexandra’s brother Kurt was born in 1905 and her sister Cornelia in 1909. Alexandra was baptized on October 17, 1904 with her father and her older sister Valentine (b. 1898) in the Protestant Church of the Dorotheergasse, although it is unclear what Alfred’s “conversion” really meant: one biographer claims Alfred rejected Judaism because it was a religion for only one ethnic group and he wanted to “share a common deity with the universal faith of man” (Bottome, 1939, p. 65). However, Kurt Adler insisted in 1995 that “we are all atheists,” and Alexandra’s niece Margot also described her aunt as an atheist.